NCL will be our Entertainment Sponsor at the gala to be held in Toronto on May 16th at the all new event space at Steam Whistle Brewery in Toronto. 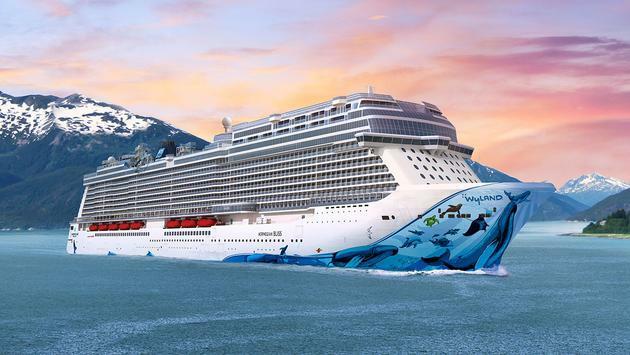 Norwegian Cruise Lines has joined the long list of sponsors for TravelPulse Canada’s upcoming Readers’ Choice Awards. NCL will be our Entertainment Sponsor at the gala to be held in Toronto on May 16th at the all new event space at Steam Whistle Brewery in Toronto. This year the legendary “Amazing Kreskin” will wow the crowd with an exclusive private show for attendees. Kreskin has appeared with Letterman, Jimmy Fallon, Johnny Carson to name a few and has flown over 3,500,000 miles throughout his career. Norwegian Cruise Lines Entertainment joins other key sponsors this year that include Air Canada, Air Canada Rouge as title sponsor, Travel Brands, as official sponsor Canadian Travel Hall of Fame, Sunwing Vacations as dinner sponsor, Manulife Insurance as cocktail Party sponsor, The Jamaica Tourist Board as wine sponsor and Uplift as social media sponsor. John Kirk President and Editor in Chief of Travel Pulse Canada said “This is very exciting for us. To have one of the world’s most respectable cruise brands show their support behind an event like this, one that celebrates all elements of our industry, is just fantastic. Their support validates the importance of the evening. The gala last year was an incredible success and this year will even be better. It’s the Thursday night prior to the first long weekend of the summer. It’ll be a great party!” concluded Kirk. Five Industry stalwarts will be inducted into the Canadian Travel Hall of Fame throughout the evening on May 16th. Nominees will be included in the voting process launching in the coming days. The gala is at ninety percent capacity with close to 350 attendees. Very few tables and individual tickets are still available. If you would like more information, please contact Canada@TravelPulse.com for information and availability.